We have adopted Leonardo da Vinci’s world famous painting, The Last Supper. 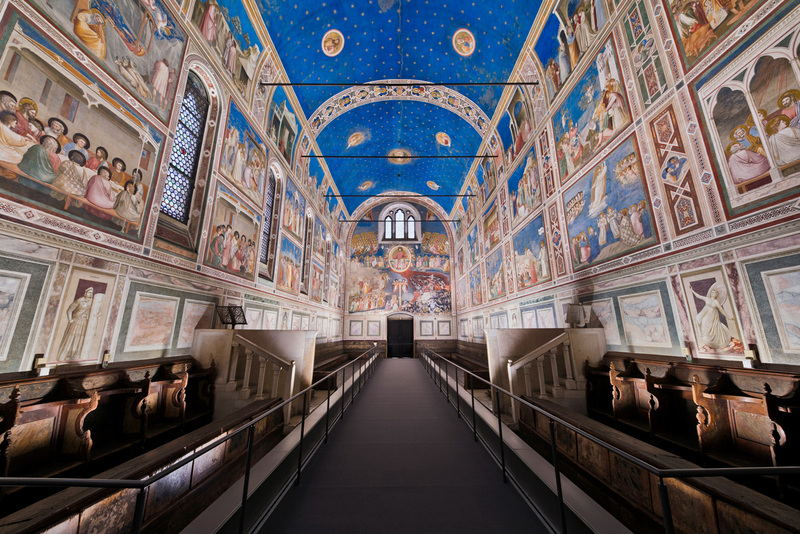 Following an agreement with the Milan Architectural and Landscapes Heritage Office, iGuzzini will be responsible for enhancing the extraordinary beauty of this artwork. To achieve this we have designed a new lighting system with latest generation luminaires that highlights the rich colours and splendid details of Leonardo’s masterpiece. 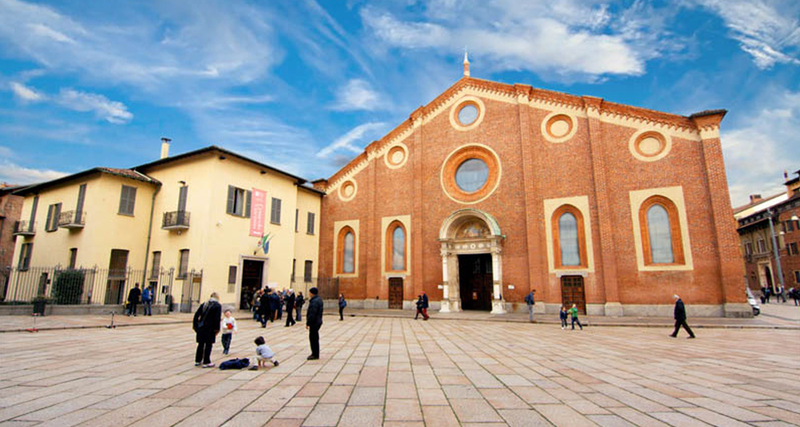 The Last Supper is located in Milan, in the refectory of the Santa Maria delle Grazie Convent that was once the seat of the Court of Inquisition. 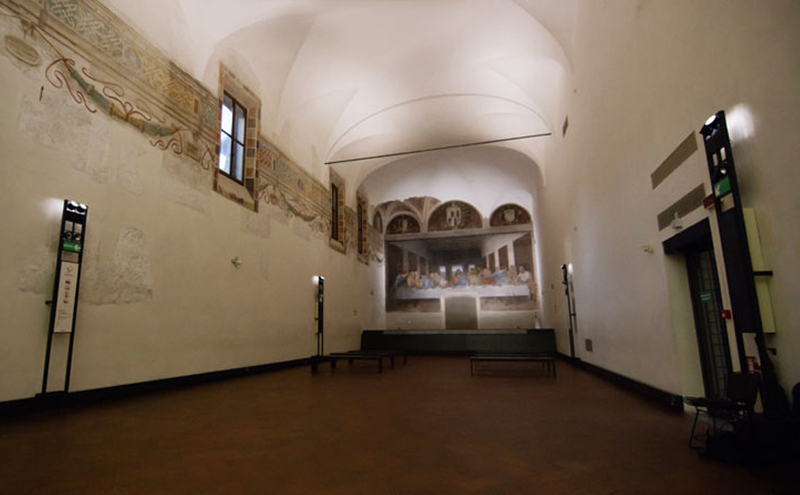 Following the collapse of the ceiling and the main walls, the only walls left standing were the end ones with Leonardo da Vinci’s The Last Supper on the right, and Donato Montorfano’s Crucifixion on the left. In 1980 the convent was included in the UNESCO World Heritage sites list. The Last Supper was commissioned by Leonardo da Vinci’s patron, Ludovico Sforza, Duke of Milan, and painted between 1494 and 1497. The 4.6 m x 8.8 m mural represents the scene of Jesus’ Last Supper as described in the Gospel of John and shows how the disciples react when Christ announces that one of them will betray him. 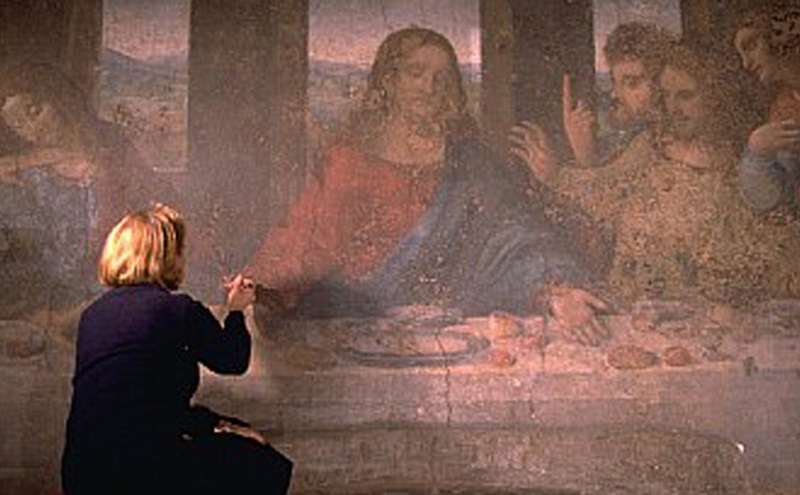 When painting this masterpiece, Leonardo did not trust to traditional, resistant fresco techniques that meant the paint had to be applied quickly while the plaster was still wet. Instead, he decided to experiment with a new method that would allow him to continue perfecting the details of the painting even after the plaster had dried. 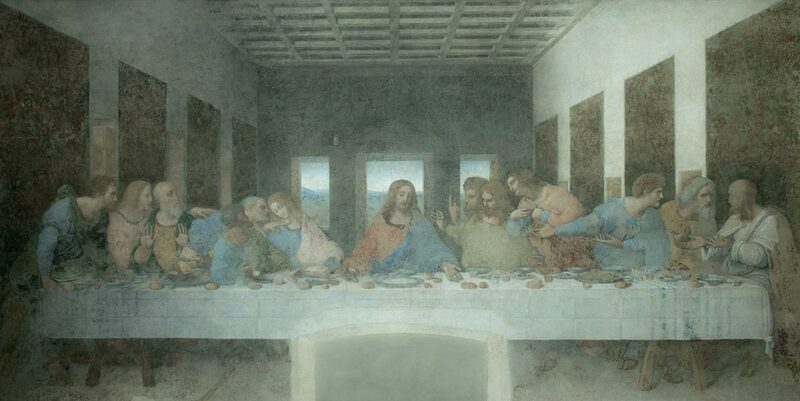 Unfortunately, Leonardo’s experiment proved to be far from ideal and the painting soon began to deteriorate. 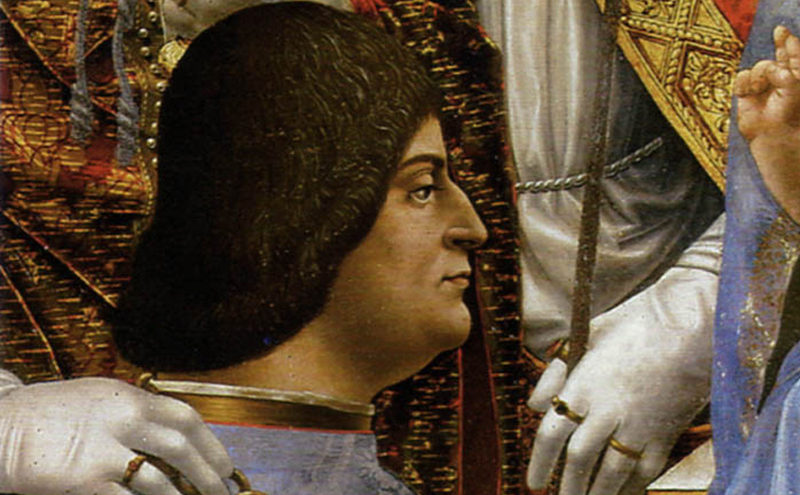 Over the centuries, this has caused the painting to be restored on numerous occasions. In 1999, the latest restoration project, that took over twenty years to complete, finally unveiled what is left of the original painting having carefully removed the clumsy attempts at restoration made previously. The new LED lighting system brings richer colour to The Last Supper while also guaranteeing better light distribution control and the correct conservation of the paintings thanks to unchanging light levels and a consistent reduction in the heat dissipated inside the room. Thermographic assessment and spectramorphic survey values have been achieved that are 30 times lower than the levels stipulated by Italian and European standards for highly sensitive artworks. All the photometric, thermal and microclimatic values registered have been conducted and certified by the Photometry Laboratory for the Higher Institute for Conservation and Restoration or ISCR. Palco floodlights fitted with latest generation CoB LEDs operated by DALI control gear and installed on a track have been chosen to replace the old fluorescent lighting system The human eye perceives light radiation on the margins of the visual spectrum up to approximately 740 nm. Natural light and incandescent and flame-based sources all produce a powerful emission throughout the range of reds. Common LEDs on the market dampen their emission almost completely to approximately 680 nm, thereby limiting the spectrum response on natural colours that express their chromatic character in this specific visual region. The Colour Rendering Index (CRI or Ra) is a quantitative measure of the ability of a light source to faithfully reproduce the colours of objects. In order to compare the colour rendering properties of each light source objectively, the standard CIE measuring method operates on a scale from 0 to 100 (poor to excellent). The Palco floodlights used to illuminate The Last Supper are fitted with continuous spectrum CoB LEDs with a high blue radiation presence and ample warm light tone. The colour temperature is 3400K. 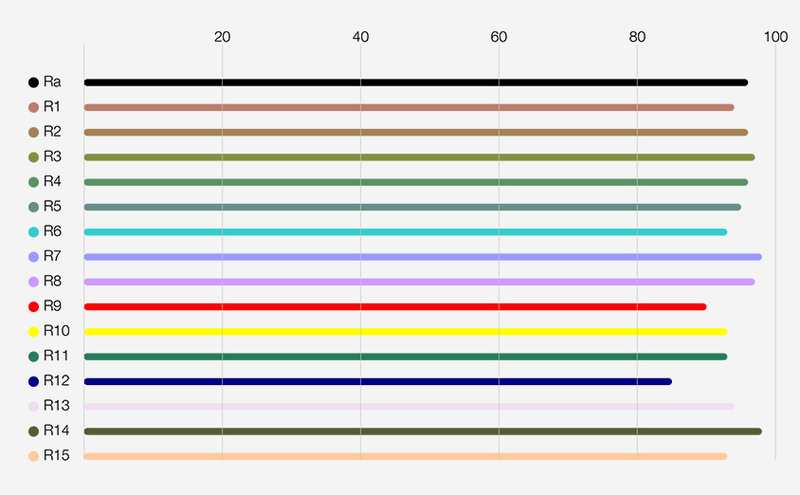 The histogram indicates the colour rendering of each tone achieved by Palco. The new lighting systems for the art works and their environment improve energy efficiency and reduces absorbed power (more than 80%) by helping conserve these masterpieces in the best way possible. The decision to replace halogen lamps with new LED products has reduced the power dissipated by the system from 3.400W/h to 570W/h. Palco was specifically designed as a floodlight for works of art. The luminaire is modelled on the shape of a paintbrush, and almost seems to paint rather than project light. 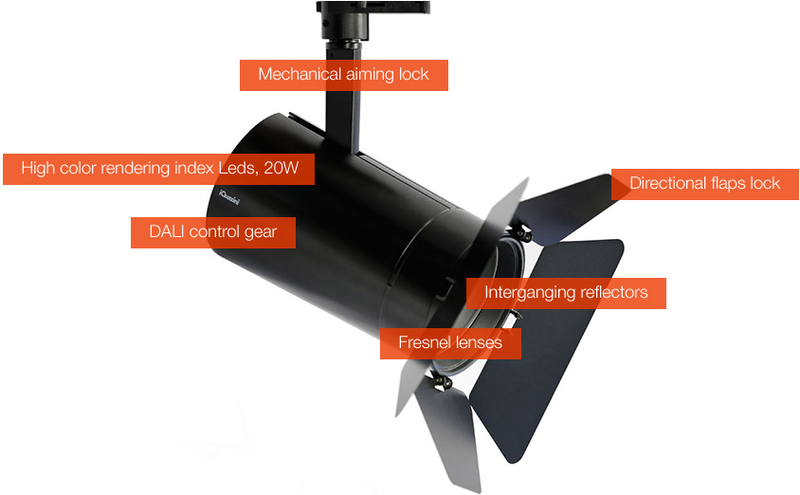 It is a single body aluminium spotlight with a soft, sleek design, a high CRI, DALI electronics, interchangeable reflectors and a vast range of accessories. So it can be used to either illuminate tiny details or wash entire walls with light. One of the 7 Palco luminaires that lights The Last Supper from below is fitted with a directional flap that limits the light beam precisely as well as a Fresnel lens to widen it.